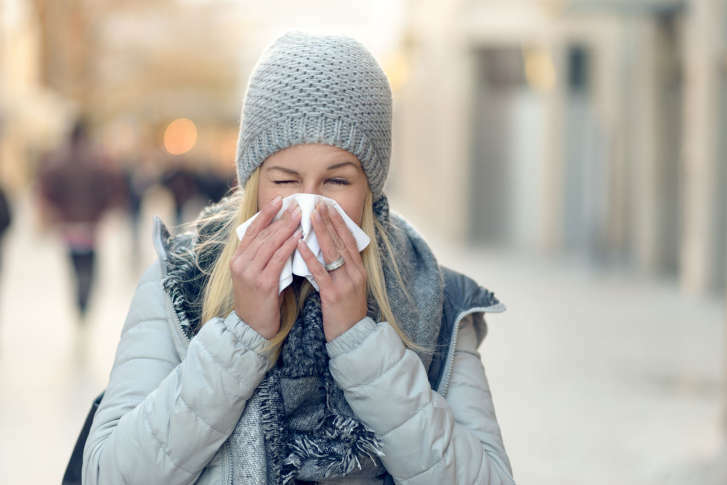 For some people a mild day sneaking up during the winter months can trigger allergy symptoms down the road. WASHINGTON — It’s hard not to enjoy a warm day during winter, but for some people a mild day sneaking up during the winter months can trigger allergy symptoms down the road. “Allergies really make people feel miserable, you feel like you have a cold, all the time,” said Rockville allergist Dr. Rachel Schreiber with Schreiber Allergy. Schreiber said she tells patients with pollen allergies to begin taking their allergy medications on Valentine’s Day each year, even if there is snow on the ground. The hope is to avoid the inflammation pollen allergies create in the body which leads to itching, coughing, sneezing, runny noses, watery eyes and for others asthma. The problem this year is that on Feb. 7, there were already high tree pollen counts, when temperatures in the D.C. area skyrocketed to the 70s. Schreiber said the warm led to trees producing pollen, which was then carried all over with windy conditions. “We don’t really expect those kinds of tree pollen counts this time of the year,” Schreiber said. While it may be too late to prevent inflammation from springtime pollen allergies, Schreiber said beginning allergy medication now may help. She said many antihistamines, steroid nasal sprays and even allergy-fighting eye drops can be found over the counter. Individuals taking other medications are encouraged to speak with their doctors before adding allergy medications to the mix. Schreiber said while studies don’t back up the claim, some patients have told her that their antihistamines quit working, after long periods of use. In those cases, it isn’t out of the ordinary for someone to try another brand, to see if their symptoms improve. When over-the-counter medications don’t cut it, some allergy sufferers may find relief by getting allergy shots, according to Schreiber.